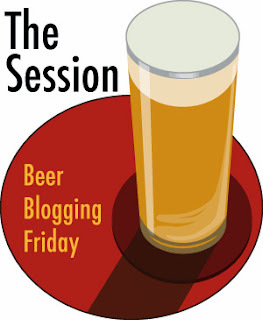 This month's session is hosted by Carla over on thebeerbabe.com and she asks that we write about the The Other Beer Economy or the supporting industries that are growing as a result of the boom in brewing at the moment. In Ireland, we have no commercial hop growing industry any more. We lost our last commercial growers in the mid 50s after Guinness started using cheaper hops from Europe. Traditionally, the south east of the country was were most of our hop farms were located. Kilkenny and Wexford in particular. It's a supporting industry that we are lacking at the moment. A few breweries grow their own hops but none can currently grow enough to use them exclusively in all of their beers so they tend to be used for special one off beers that use 100% Irish ingredients. I suppose the list of supporting industries is rather large and I'm not going to list them all so just the following few obvious ones to me. What we do grow and has also started to boom is barley. Ireland's maltsters have seen a huge jump recently. Once the domain of the large commercial breweries, not only have Ireland's maltsters embraced the small, independent breweries but they have also embraced the homebrewers and sell malt to homebrew shops around the country and sometimes even direct. Another industry that has taken off is stainless steel manufacturing. Ireland has a number of manufacturers but one has taken the plunge into brewery equipment. Spectac produces everything you need to have a fully functional brewery using Irish made equipment. Of course, it won't be as cheap as something shipped over from China but it should be better built and more importantly, have a better after sales service. Rye River commissioned their brew-house with Spectac and I believe it was the first brewery manufactured in Ireland in a century. Many other breweries and distilleries in Ireland have started buying Irish. Off-licences (bottle shops) had been declining in Ireland since the scrapping of the groceries order which allowed below cost selling in supermarkets. This resulted in many large supermarket chains treating alcohol as a loss leader in order to attract people to their shops. With the craft beer boom, off-licences have increased their craft beer stock in a very meaningful way and are attracting a new genre of consumer that buys for quality and not quantity. People like me could buy 10 bottles of craft beer for the same amount as 3 cases of 24 can macro lager in a supermarket. While supermarkets have increased their beer range, very few do a good enough job to entice people like me to buy beer there. The pub trade has also increased. In a climate that saw pubs close in their hundreds throughout Ireland, the pubs that embraced craft beer were making a killing. Imaging that, in an 8 year long recession, people were willing to pay more for beer from independent breweries and to pile into pubs to do so? The pubs got back on track and thanks to a lot of help from people writing about beer and in no small part to the work we have done at Beoir, it's now much harder to find a pub that doesn't at least have a small token offering of craft beer. You have to leave the larger population centres and head to very rural communities. Actually, much like the one in which I live. The local supermarket sells a few craft beers but the three pubs don't which is a real shame. Distributors are of course another big winner. Existing distributors and brand new ones alike are reaping the benefits of the new thirst in Ireland for flavoursome local beer as well as imported craft beer from around the world. Marketing has become an important tool for smaller breweries. Digital marketing is the main focus for the cash strapped independent brewery. It's free and only takes time, at least to do a basic job. You need a professional to make it count though and even then, many professionals doing digital marketing for breweries are pretty terrible at it, at least in Ireland. Quite often though, the brewery owners or one of their staff take care of Twitter and Facebook and do a much better job because they understand the business. Most marketing people have very little interest in the products that they promote. In the beer world, it often means that the marketing/PR people don't even drink beer. If you don't consume a product, how can you hope to convince others to do so? That's about all that's worth putting down on the list for now. It's an interesting topic and one that many consumers often overlook. People like us, who write about beer will often know them intimately though. Nice summary, Reuben! It's certainly one of the most relevant contributions to The Other Beer Economy session.